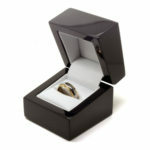 Opt for a beautifully delivered gift to surprise that special someone in your life with our new range of Ring Boxes. 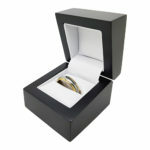 Featuring padded slit ring holders and sleek designs in various finishes, our Ring Boxes collection is here to take your gift to the next level. Browse our designs, shop with confidence and don’t hesitate to contact us if you have any questions about our range. As an Australian owned and operated family business, we are dedicated to delivering all our orders as fast as possible and offer FREE shipping on all purchases over $60.